Microsoft has launched Windows Insider Program to allow PC experts and IT Pros to gain access to a technical preview of Windows 10 (previously known as Windows 9) for desktops and laptops, with technical previews of Windows Server and our management tools coming soon after. The Windows Insider Program is expected to go live on October 1st, 2014, where Windows enthusiasts will get to download Windows 10 ISO and receive the free preview product key to activate the system. According to Terry Myerson, Microsoft’s Executive Vice President of Operating Systems, Microsoft plans to share more than ever before, earlier than ever before, and more engaging with its fan base in developing Windows 10. In fact, the general availability (GA) of Windows 10 is expected only in later 2015, but Microsoft is already releasing a preview. This is contrary to development of previous Windows OSes, where most early releases were leaks, with official preview or beta only available few months in advance. In addition, Microsoft plans to build Windows 10 together by inviting users to give them feedback via Windows Feedback app. However, how effectively Microsoft is going to handle the feedback remains to be seen. According to Blogging Windows, the Windows Insider Program is intended for PC experts and IT pros who are comfortable using pre-release software with variable quality. Insiders will receive a steady stream of early builds (i.e. updates) with the latest features to experiment with. So, expect a lot of restarts and bug fixes. The Windows Insider Program with the downloads is accessible from http://preview.windows.com/. Update: You can now sign up for Windows Insider Program via https://insider.windows.com/. 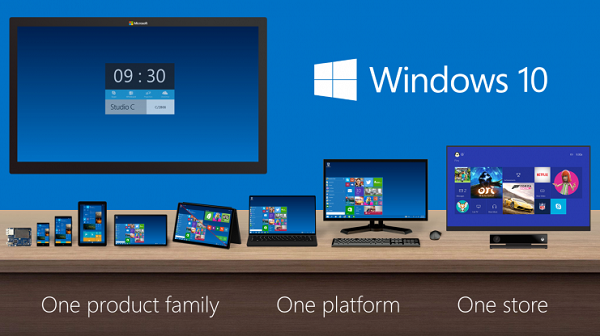 Update: Download links and product key for Windows 10 Preview. Currently, the download page is not live yet. Instead visitors are shown the following text: “Windows Insider Program is almost here.” The download links are expected to live from 09:00 PDT (16:00 UTC/GMT).